Home News Politics Former Presidential Spokesman Harry Roque Pushes for Federalism. Former Presidential Spokesman Harry Roque Pushes for Federalism. A few days ago, Atty. 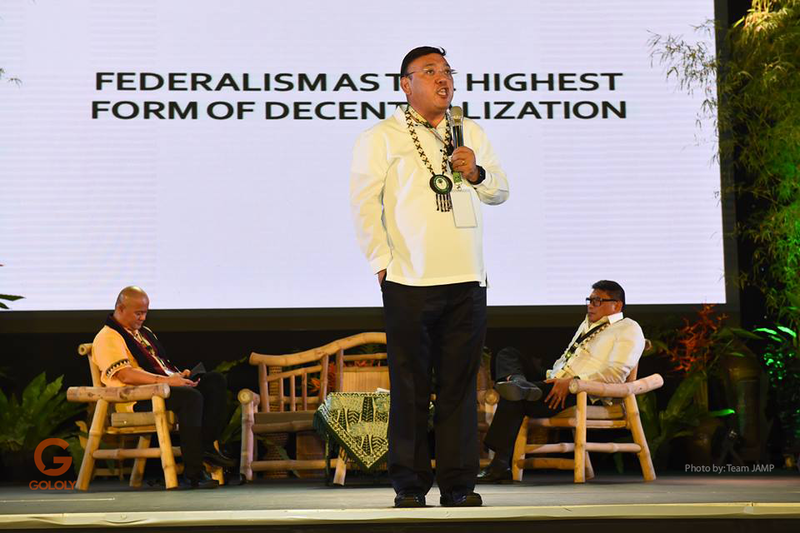 Harry Roque, the former Presidential Spokesperson of President Rodrigo Duterte, was in Puerto Princesa (Palawan), and was warmly welcomed by thousands of foresters who talked about federalism and the gains it could aptly provide to the local government. 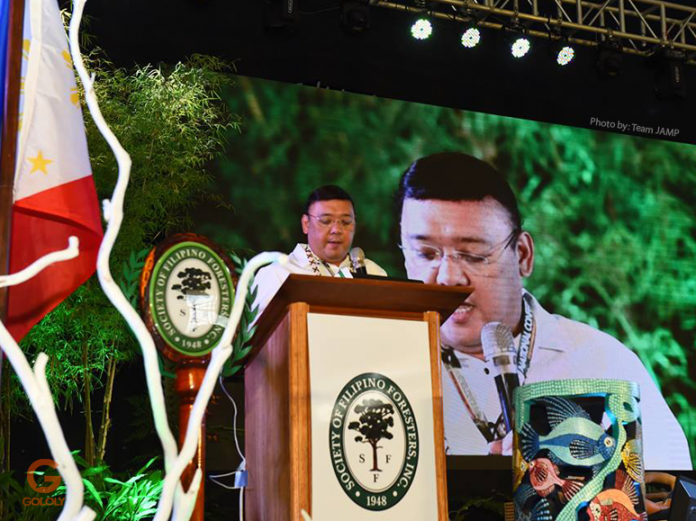 This was the content of his speech as the keynote speaker during the 70th Anniversary of the Society of Filipino Foresters Inc. National conference held last week at the Puerto Princesa City Coliseum. Former Partylist Representative and Presidential Spokesman Atty. Harry Roque pushed for federalism, to be the new government system of the Philippines. He firmly believed that the actual change will happen to ease the sufferings of the people, most specially in the countryside. He admitted that at first he also didn’t believe in Federalism for so many reasons, however, his stand change when he realized that most of local government unit suffer, due to the current government system of the country. On his presentation, Roque is pushing for the 60-40 share on financing in favor of the Local Government Unit, he is convince that any local officials like the Mayor has the full authority and knowledge of all his constituents, he must have the full power to deliver the government services to the people. “Bakit yung tulong sa isang namatayan bakit kailangan manggaling sa DSWD, samantalang si Mayor kilala nya ang mga namatayan, sa pag-gamot kinakailangan pa magtagal dahil manggagaling pa sa central office, samantalang si Mayor naroroon na at puede ng ibigay agad-agad, praktikal po ang pederalismo at maaasahan ng taong bayan na mas mabilis ang serbisyo, kapag binigay natin sa Local Government Unit ang kapangyarihan,” he stressed. 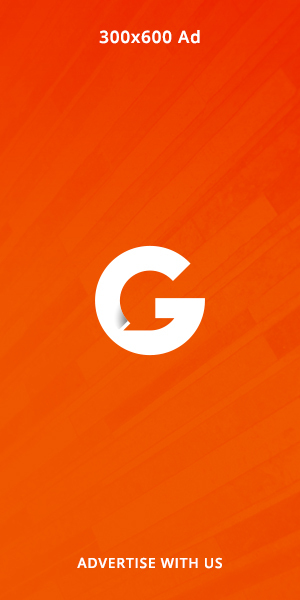 Roque also shareed that there were some recommendations by an independent group in building up Federalism. And accordingly, it will be a 50-50 share in funding, as well as share in natural wealth, both for the National Government and LGU. But he insisted that he was not in favor of that since he wanted to give most of the cut to the LGU, including the tax collection. As a practicing lawyer then, Roque is long fighting for the rightful share of any LGU in natural wealth, and one example is when he became the legal mind behind the protest of Palawan government in claiming the share for the Malampaya gas project which is pending in the Supreme Court until now. He also dismissed allegations that his former boss, President Rodrigo Duterte is using the said Federalism to prolong his term, Roque announced that Duterte doesn’t want to run the transition government, in fact, he Is willing to cut his term to give way for the transition once it is approved. 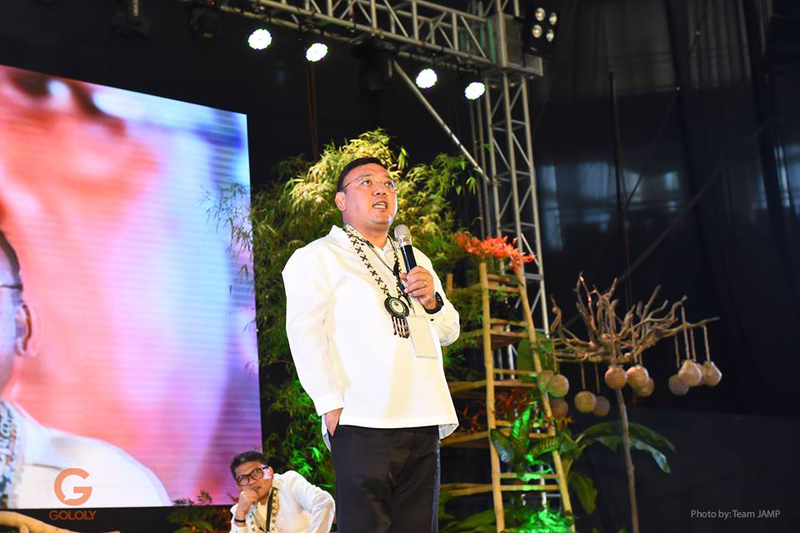 Speaking to 2,600 foresters in the country who attended the conference, Roque declared his bid to run in the Philippine senate this coming 2019 election, and environment is one thing close to his heart. He recalled how he climbed Mt. Makiling before taking up the bar exam, to which he owed that to nature and God after passing the said exam. That’s the main reason why he has the high respect to all the foresters who take care of all the forests in the country. But he admitted that after all the issues he faced in Malacanang Palace down to being an independent candidate, he is seeking funds to finance his campaign. “Napakamahal po talaga ng National Senate, ang budget sabi ng staff ko ay P380 million, sabi ko san ko kukunin, kahit ibenta ko ang mga taba ko hindi aabot ng P300 million,” he joked. 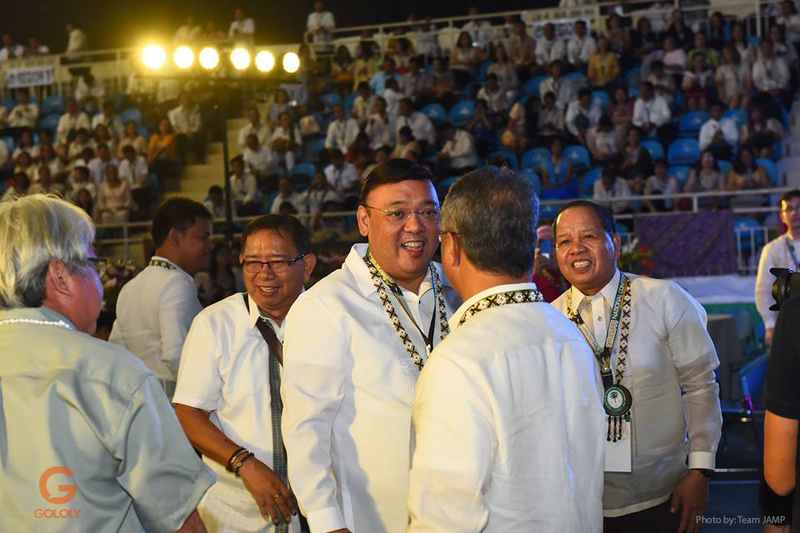 Roque wished that Federalism would be the main issue for all running candidates in the coming election, both local and national, as he is convinced that its implementation will take time and could be after election, but as a Federalism convert, it will be the best for our country.